Born: August 1651, East Coker, Somerset, United Kingdom. Died: March 1715, London, United Kingdom. 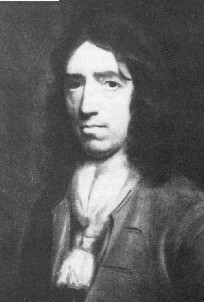 William Dampier, English buccaneer and explorer, was a seaman from the age of eighteen and during his first long voyage in 1671-1672 started collecting information on prevailing winds. In 1679 he joined a group of buccaneers and for twelve years roamed the world. Among other regions he explored south-east Asia (1688-1689) and touched at Australia. After many adventures, mainly in the West Indies and along the coast of South America, he was employed as a military engineer in an English fort on the island Sumatera (formerly Sumatra), Indonesia. Returning to England with Captain Heath in the Defence, some 30 of the crew died from scurvy and they only just made it to Table Bay in April 1691, staying for six weeks. Dampier does not appear to have travelled inland. He described his adventures in A new voyage around the world (London, 1697, with various later editions and translations). The book is written in a simple style, and reflects both his veracity and remarkable powers of observation. His description of the Cape of Good Hope includes aspects of its geography, agriculture, fauna and flora, with a good description of the Khoi and their way of life. His second book, Voyages and descriptions (1699) supplemented the first. It contained a description of Natal written by his friend, Captain Woodes Rogers, as well as an important contribution to hydrography titled "A discourse on trade-winds, breezes, storms, tides and currents in the Torrid Zone". From 1699 to 1715 Dampier sailed as an explorer and privateer, setting out in HMS Roebuck for Australia and the Pacific Ocean in January 1699. On this voyage he discovered the strait in Indonesia that was named for him, while a territory on the northern coast of Western Australia, where he collected plants, is still known as Dampier Land. On the return voyage he again stayed at the Cape, this time for 12 days in January 1701. The resulting book, A voyage to New Holland in the year 1699, was published in two parts (London, 1703, 1709). Like his earlier books, it contained much information on natural history and ethnology. He set out on two further privateering expedition to the Pacific, visiting the Cape in 1706 and again in 1711. During one or more of his first three visits he met J. Starrenburgh*, who sent plants to England. Dampier's name appears on some of the labels, now in the Sloane Herbarium of the British Museum. All together he circumnavigated the world three times. He was an excellent navigator, but several accusations of mistreatment were made against him by crew members. Dampier, W. (Extract from A new voyage round the world). In C.G. Botha, Collectanea (pp. 119-132). Cape Town: Van Riebeeck Society, Series 1, No. 5, 1924. Dictionary of South African biography, Vol. 3. Raven-Hart, R. Cape of Good Hope 1652-1702. The first fifty years of Dutch colonisation as seen by callers. Cape Town: Balkema, 1971.